Avocados the way my grandma used to make 'em. Today I'm sharing a secret heirloom recipe from my grandmother. ...except that it's not really a secret, as every Filipino in the world probably knows how to make this (what's up, Manila!) Let me start by saying I had the best grandmother in the world. My lola Liling ("lola" is grandma in Tagalog) was a great cook and she served a mean chocolate cake, but more than that she was really good at spoiling her kids and grandkids rotten. She was the kind of grandma who made sure everybody had their favorite food for dinner while she painstakingly slaved away in the kitchen. She had a nice laugh, my grandma. And a very big heart. So anyway (before I completely tear up), this is how we eat avocados in the Philippines. We don't usually put them in salads and sandwiches like people do over here—we eat them with cold milk and sugar. This, to me, is comfort food. Don't knock it til you try it because if you haven't had avocados this way before, well, I kind of feel bad for you. 1. 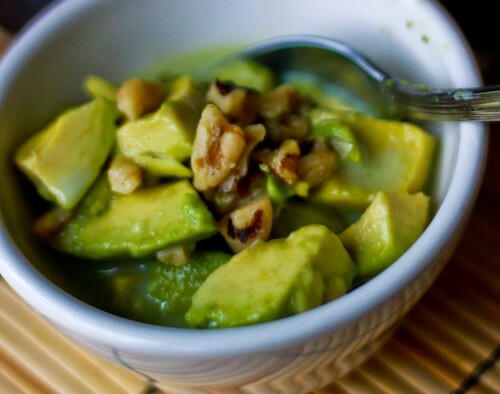 Using a spoon, scoop out avocado into chunks. 2. Add milk, sugar, and walnuts. 3. Serve chilled and enjoy! You can mash the chunks up for a creamier finish. You can also pour the mashed up mixture over ice trays, freeze 'em, and serve them as ice cream pops. 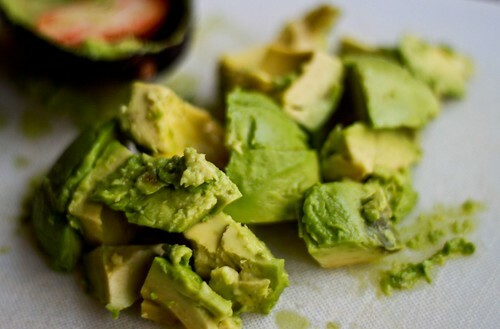 Do you know how good avocados are for you? Insanely. Click here to read about the avocado advantage. There's no week like this week to enjoy a green dessert. Happy St. Patrick's Day to you! To those who missed No-Bake Mondays last week, I'm super sorry!You know I'll make it up to you. We bought avocados earlier this week, and this is exactly how we had them. Well, T Lito cut them in chunks, but I mashed them up....but we both had them with cold milk and sugar! 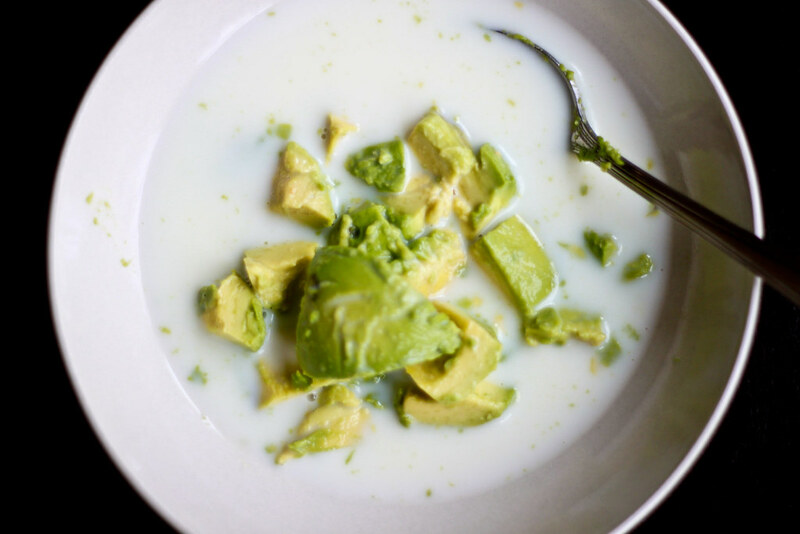 Years ago, when I was more daring in the kitchen, we even made avocado ice cream. Only just saw this - looks great! I love avocados and they're only high in unsaturated fat. As you say, I usually have them in sandwiches/salads. Will have to try this one out!